Heath and his "slide guys"
Question: Can you ever play to much kickball? Answer: Not if you are one of the kids at our elementary school. Today we taught the 5th grade classes how to play...and play they did! It was fun to teach the older kids because we got to jump in and play with them. 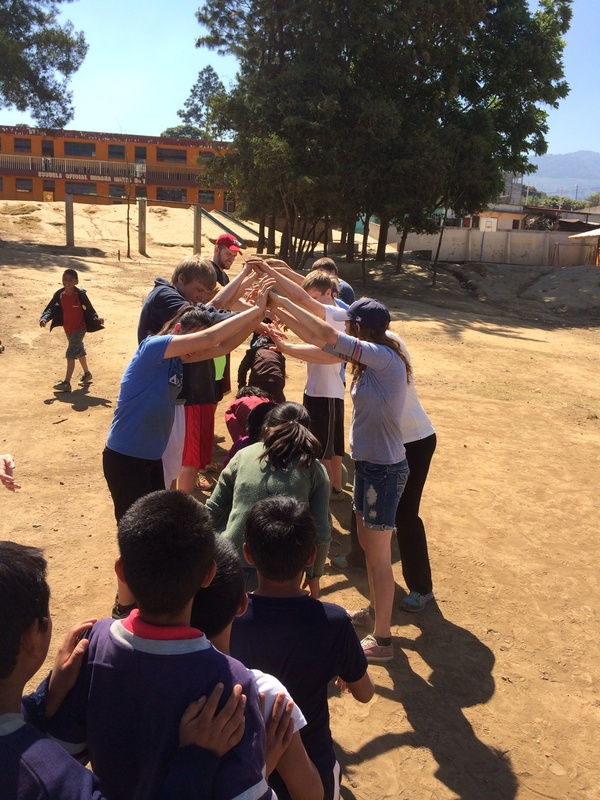 We even had some kids vs. gringo games...much to the delight of the kids. This afternoon we took 3 whole hours off and everyone got a chance to recharge their depleted batteries. There was reading, napping, chatting, playing and even some homework. 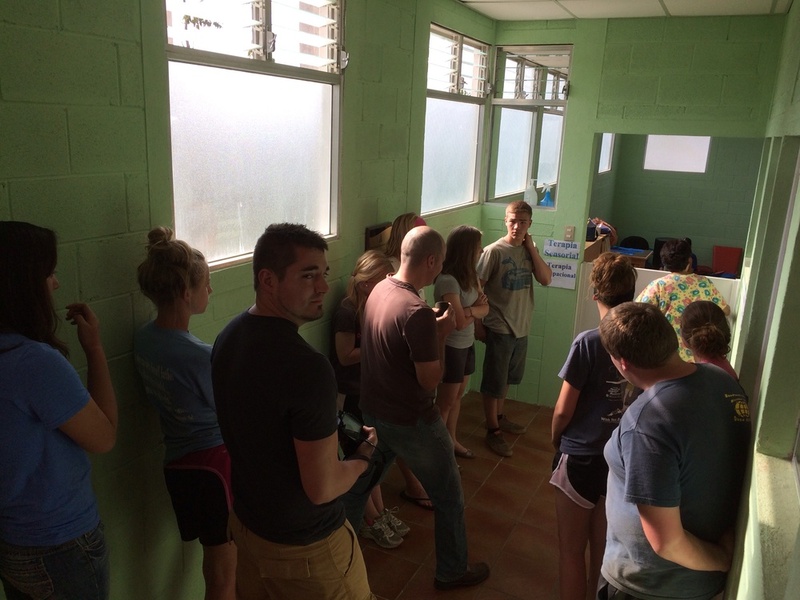 We also got a chance to tour the Neurological Clinic here on the Misoneros grounds. It was really cool for the students to see the facility and workers that makes a huge difference to so many lives. We did more home visits tonight with the Los Olivos youth group and once again they went well. The night finished off with a great team time. 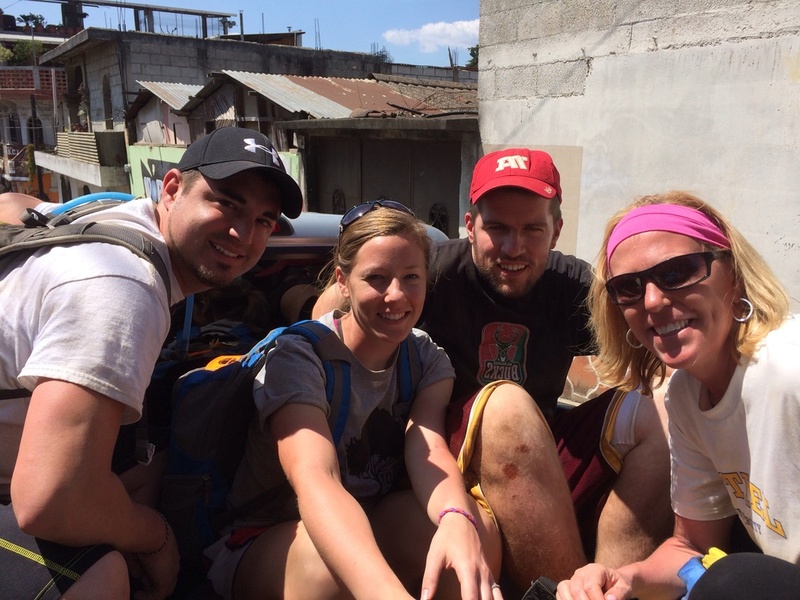 The trip is quickly drawing to a close and everyone is committed to finishing strong. Keep the prayers coming! 4 of the best leaders Heath could ever ask for!